From the author: “Pack include: preview file / .pat file / 20 repeatable images – 60x60px”. 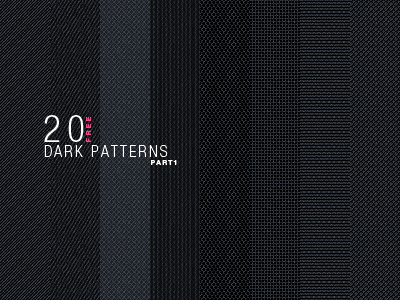 20 Dark Patterns is a free Pattern design resource made by Dribbble user spovv. As far as I can tell, its license is Unknown.